The term resume format can have different meanings. Sometimes people refer to a structure, style or type of electronic file. On this page, when we use the term “resume format,” it means we are talking about the structure of the resume. The structure includes the order of subcategories, content of subcategories and commons styles used for each resume format. For purposes of simplicity, we will define the three most common ways to format a resume: Reverse Chronological, Functional and Hybrid. Most resumes use the standard reverse chronological resume format, but there are often good reasons to use a functional or hybrid format, depending on the job seeker’s current situation. Also, there are hybrid formats that use concepts of both such a functional summary with reverse chronological experience section. Below you will find a detailed outline of each format. You can find each different format among our main examples section. A mixed career background with a collection of jobs not specific to the type of position being sought. Someone returning to a previous profession, where the most recent experience is not as directly applicable as transferable to the job currently sought. Someone ready to develop a professional career from less than full-time experience, either from part-time or pastime related experience while ones full-time occupation differs from the previous full-time background. Job seekers returning to the workforce after a considerable lapse in employment. Breakdown: The functional resume format uses a summary introduction section followed by a detailed description of the job seekers skills and expertise in specific functional areas. This “functional” section serves as the main area of content. Work History will be listed below (usually in reverse chronological order). Work History is represented as a simple listing and does not include descriptions of the job. Education and other sections are listed below. 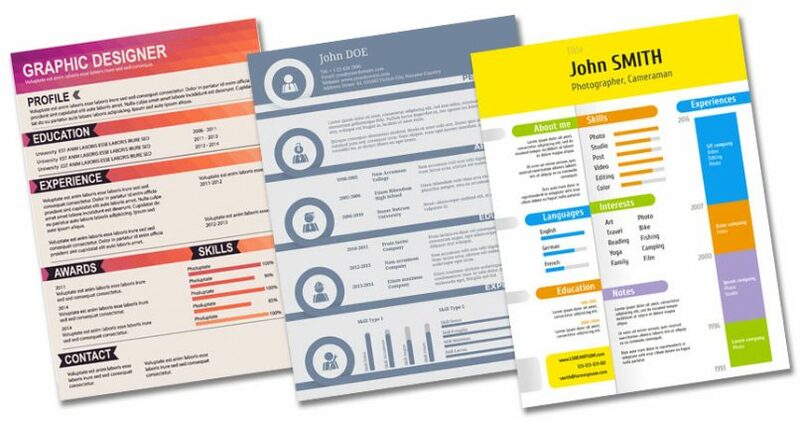 The reverse chronological resume is the most common resume layout in use. In using this format, the main body of the document becomes the Professional Experience section, starting from the most recent experience going chronologically backwards through a succession of previous experience. This resume works to build credibility through experience gained, while illustrating career growth over time. A successive career background in the field or of similar distinction to the next job being sought after. Someone with limited work history, however, gaining experience in areas of competency applicable to the sought position through some previous work. Job seekers with a steady track record, without significant lapses in employment. Breakdown: This resume format starts with a brief summary or objective section. Qualification Highlights sections are optional and are considered to be part of the summary section. Experience is then listed to follow the summary. Job descriptions are listed in reverse chronological order starting from most recent experience to least recent experience. The education section is next and then can be followed with additional sections such as: Publications, Professional Affiliations, Awards, Honors, Volunteer Work, etc. This is helpful to decrease the attention to gaps in career history, lack of experience, or a recent extended career break. Following the accomplishments section, the candidate includes a work history section with employer names, job titles, and dates. Dates are not hidden in this format. All essential information is clearly presented on the resume. However, with this format the top selling points are on page one so the reader can gain interest before seeing any potentially less-appealing details, such as a gap in work history. Breakdown: Most experts recommend a hybrid format for a career re-entry candidate, a candidate with large gaps in employment, or candidates that lack direct experience. This format also works for a career-changer with little experience in their chosen field. When the time comes to choose a resume format, try to keep it simple. Ask yourself this question: which format will best demonstrate my ability to perform the job? For people with straightforward experience, the reverse chronological resume works well. It’s familiar to the reader and an ideal format when you are applying for job positions within your field. The functional resume is excellent when you have held a many different job titles and a wide range of job responsibilities. It’s also an effective format when attempting a career change where highlighting specific skills takes priority over chronological work history. Of course, this style of resume is also helpful when you have large gaps in your employment history. In this case, you are trying to deemphasize employment dates. The hybrid resume is an excellent option for professionals that have had a wide range of duties in the same job position. The hybrid also works well for individuals that worked at the same company but changed job titles and responsibilities due to promotions. Lastly, this format can be beneficial when you have 2-4 different skills that are vastly different but equally important. Consider your situation carefully when devising your resume strategy. Also remember that your strategy may change as you navigate your career. Choose the right resume format for your career stage, career history, and goals.